Timeless Elegance & Superb Craftsmanship! At Gaetano Hardwood Floors Inc, we are dedicated to creating, refinishing and maintaining beautiful custom hardwood floors made in the USA! We are a family owned business since 1955! We invite you to visit our website at www.gaetanoinc.com or call 714-536-6942 for an appointment to visit our showroom. We look forward to hearing from you! Hallmark Floors, "We design beautiful, quality floors for living spaces." Whether it be for a home, office or business, Hallmark Floors has flooring for any lifestyle. Brands names: Hallmark Hardwoods and Hallmark Luxury Vinyl. Hallmark Floors, Simply Better… discover why. Established in 1986 Warren Christopher is a Family Owned & Operated Company. 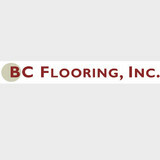 When first started, the main focus was in the Commerical Flooring Industry, but over the years, more and more residential flooring was requested from past clients. In 2000, the residential division was opened in Orange County. We recently moved our showroom to Corona Del Mar, CA. We are continually adding new products to our showroom, always seeking ways to stand out from the norm. Our Boutique approach of keeping it small & simple has kept us in the business for almost 13 years. We have our own Custom Products, and carry additional High End Wood Floor Species. We specialize in Custom Wood Floor Finishing, Wide Plank, Vintage/Reclaimed, and Re-Finishing Existing Wood Floors. EdWynn Rose has been making never before seen unique custom pieces and projects for over 25 years. The spectrum of our work entails individual handcrafted home pieces as well as residential commissioned projects to commercial business projects, including wood paneled conference rooms and live edge conference tables. Our wood is hand selected from all over the world. The exotic wood is individually selected and evaluated, where it is designed using its natural pattern and hand carved in order to create a one of a kind creation. ER is unlike any other designer manufacturer in the fact that we create with beautiful rare exotic wood and expert hand carving, creations of the imagination. The niche we have is unique in the fact that we offer our exclusive services in a consultation with you to create your or your client’s dream designs. Whether it’s a traditional or non-traditional space, from your dream kitchen to your bar we can make something never seen before that will absolutely enthrall you and your family and friends. The creative mind at EdWynn Rose delivers commercial and residential projects with a wide variety of creative designs for Hardwood Flooring, Creative Countertops, End Grain Butcher Blocks, Doors, Wood Paneling, Decking and more. From the front desk reception area in your lobby to a custom-designed conference table, we can help you create the perfect atmosphere for your business. Whatever you can dream, we can create through the finest woods and our expertise. I have owned and operated this business for over 35 years. I do all the tile installations myself and look at each new project as an opportunity to create a work of art! We specialize in installing porcelain wood grained tile, standard porcelain tile, and subway tile. You may provide your own tile or reach out to me to connect you with my own vendors. We can install tile for backsplashes, countertops, flooring, showers, and any other indoor/outdoor rooms for your home. You may reach me directly at (714) 813-3517. If I can't pick up, I'll return your call as soon as possible. West Coast Flooring Outlets Inc.
We understand the need to provide our customers with stocking warehouse programs to expedite lead-times. With substantial inventories of certified reclaimed woods from around the globe, we are ready to take on all sized orders from the most complex high-end projects to the simpler (favorably-priced) flooring products. We stock over 230 species in veneer and 103+ species in solid and engineered planks! Our organization respects the world’s abundant natural resources and strives to preserve these by actively sourcing reclaimed, sustainable and environmentally conscious materials. That’s why many of RWOW’s materials qualify for use in LEED (Leadership in Energy and Environmental Design) projects. We support international, non-governmental organizations which promote environmentally appropriate, socially beneficial and economically viable management of the world’s forests. Operating around the world, these organizations work to find solutions that encourage responsible stewards of these resources. Throughout consultative processes, they set international standards for responsible forest management and evaluate forestry operations to determine whether they meet their strict principles and criteria. If an organization is determined to be in compliance, a certificate is issued recognizing that the company supports the growth of responsible forest management. The certified products are carefully tracked to ensure that GREEN (certified) materials are not mixed with those that are not certified. This process is referred to as, “Chain of Custody,” and guarantees that the end consumer receives products that originated from certified, well-managed forests and forestry operations. Orange County's Premier Hardwood Flooring Best of Houzz 2014-2016! Our family has been in the wood flooring industry for four generations. Brothers Jason and Jim have over 35 years experience in sales and wood flooring installation in homes and businesses throughout Southern California. Call us today and let our family take care of your family. Our excellent customer service and superior product knowledge have made us well respected in the hardwood flooring industry. We believe that the best customer is an informed customer, therefore we pass our knowledge on to you. Additionally, we bring the hardwood flooring showroom to you. During our on-site assessment we will address any concerns or potential issues, answer any of your questions and map out the project for your individual needs. Our in-house flooring designers can custom design a plan for your home or business to fit all budgets, big or small. Finally, quality workmanship is our hallmark. We take pride in completing a job with the utmost attention to detail on every part from proper sub-floor preparation, to striving for a clean workspace minimizing dust and dirt, to installing beautiful hardwood floors free of installation errors. We at The Garrison Collection create and distribute beautiful and enduring hardwood flooring. Every one of our products is manufactured with mastery in design and expertise in construction. 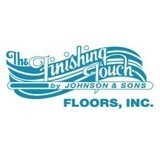 We understand your desire for having beautiful floors and your need for quality products that will last. So we deliver just that: stunning flooring to take pride in! Based out of Los Angeles, we began as a small, family-owned business in 1956 and we’ve successfully grown by maintaining a consistent mindset with a commitment to excellence in everything we do. And we continue to grow because of our innovative manufacturing methods and understanding of the market. We are steeped in tradition and history, building on what works while not being afraid to create what we’ve never seen before. We offer a wide range of products, from the modern and cutting edge to the classic and vintage-inspired. As industry pioneers, we have developed and refined our ability to make artistic innovations in design and color. We like to push the boundaries while never compromising on quality. We stand by our products and offer exceptional warranties. No matter what style you choose or what Garrison floor makes it to your home, rest assured that your floors are as well-made as they are beautiful! Olde Tyme Floor Co. Inc.
Olde Tyme Floor Company, Inc.'s belief is that satisfied and content customers are always wonderful sources for new business. This is why we provide all of our customers with the kind of service and top quality products that they will be happy to tell there friends, families, neighbors, and business associates about. We were established in 1981, awarding us many years of direct experience with Homeowners, General Contractors, Construction Management Firms, Property Management Firms, Designers', Decorators, and Architects. Our main goal has always been complete customer service and satisfaction. This boutique, Greater Los Angeles flooring company specializes in general to extremely custom work for all scopes of projects. No project is too small or too large for Olde Tyme Floor Co. Inc.
Xulon Floors is a hardwood flooring specialist. We are experts in refinishing, installation, repairs and floor care. We install solid, engineered, and laminate flooring, and sand engineered and solid hardwood! OC Flooring has been in business for over 20 years, and our love for remodeling is what makes us unique. We pride ourselves with developing relationships with our clients to ensure that their dream remodeling needs become reality. 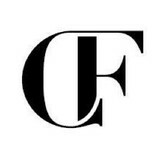 Here at OC Flooring, we like to let our work speak for itself, that is why we offer free estimates along with portfolios of our previous work. OC Flooring is confident that your remodeling criteria will be met with the most professionalism, style, and class. 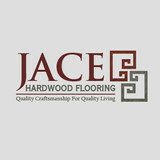 CMC Hardwood Floors is a family owned business providing quality and custom service for your hardwood flooring needs. With over 10 years experience, we specialize in installations and refinishing, but offer a wide varitey of services for both residential and commerical projects. Whether your project is a room makeover, new construction or repair, we can work within your budget. We will gladly meet with you to discuss your hardwood flooring needs and provide a quote. What kinds of services do hardwood flooring installation professionals in Newport Beach, CA provide? Find hardwood floor experts in Newport Beach, CA on Houzz. Search the Professionals section for Newport Beach, CA hardwood flooring installers and dealers or browse Newport Beach, CA photos of completed installations and look for the professional’s contact information.